Time and money–these are what you need to have in order to have a good makeup. However, not every day you have enough cash and extra time to fix yourself. You do not need to worry because we got your back with these makeup hacks. If you have utensils at home, it will be easier for you to do these hacks. 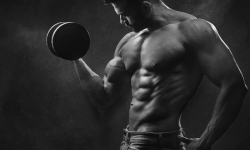 Just follow these simple guidelines to achieve the look that you want. When it comes to doing your makeups, it is difficult if your tools are not complete. However, the tools that professional makeup artists use are expensive. 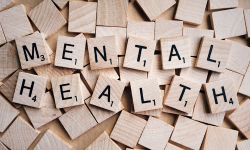 You do not need to make it as your problem because your utensils and school supplies are there to save the day. Who says you only use this ultimate duo for eating? For makeup gurus, spoon and fork can be used as their tool to make contouring a lot easier. If you are aiming to make your face a bit skinner without letting go of your fats, you can use this technique. Warning, this video might blow your mind because of how amazing this beauty hack is. Do you think that the duty of your spoon and fork only ends with contouring? No. And this is because you can literally use it in almost every makeup stages. May it be on your eyelashes, eyebrows, eyeliner, name it. Your kitchen utensils will never fail you with its multiple usages. 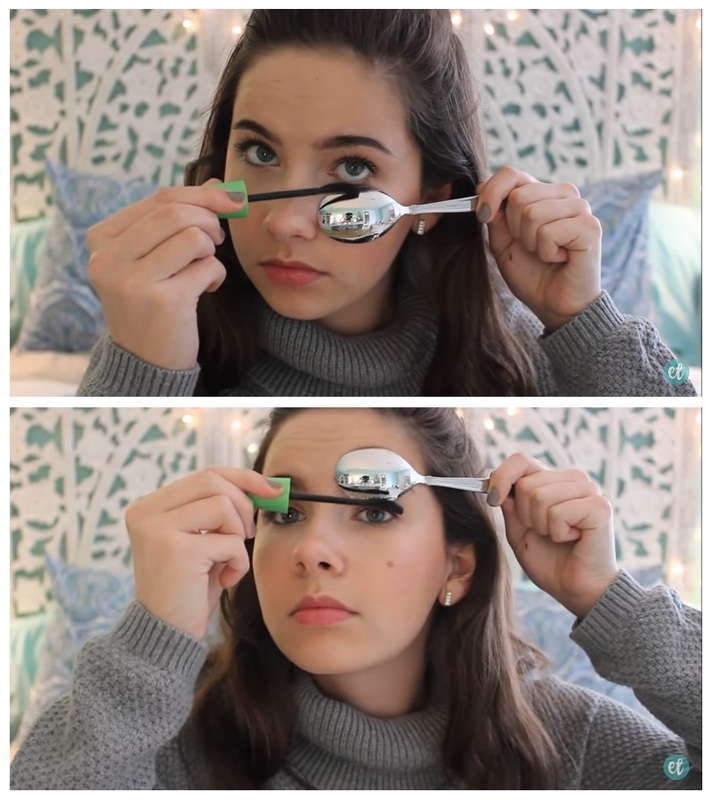 Just follow these steps that Emma did to know how much of a superhero your spoon is. Some ladies are using cards or cardboard in order to avoid staining other parts of your face with mascara. But, what if you do not have a card? No need to worry because, with the use of the spoon, you won’t make staining as a part of your problem anymore. If you misplaced your eyebrow palette, your spoon is one of the best alternatives you can use. 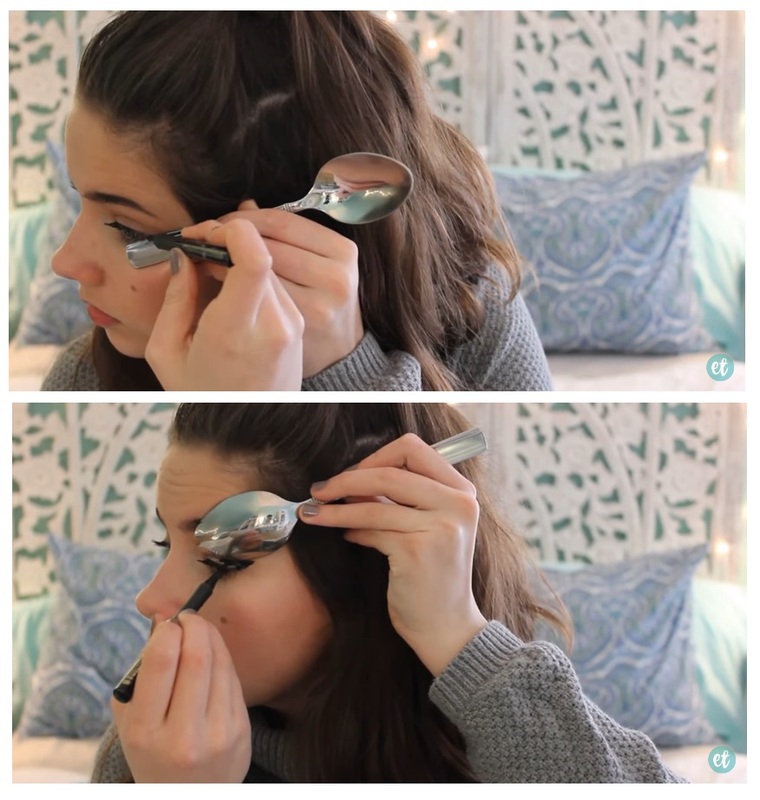 Want to know a not-so-deadly way to contour your face other than using your spoon and fork? Use your kitchen knife. But, you need to make sure that it is not sharp enough to cut your skin easily. If you will going to use this, make sure that you know how to hold the knife to avoid accidents. You don’t want to applying makeup be the cause of your accident, right? Safety will always be first than making sure that you have nice and contoured cheeks. Usage of the knife, just like your spoon and fork, does not end there. 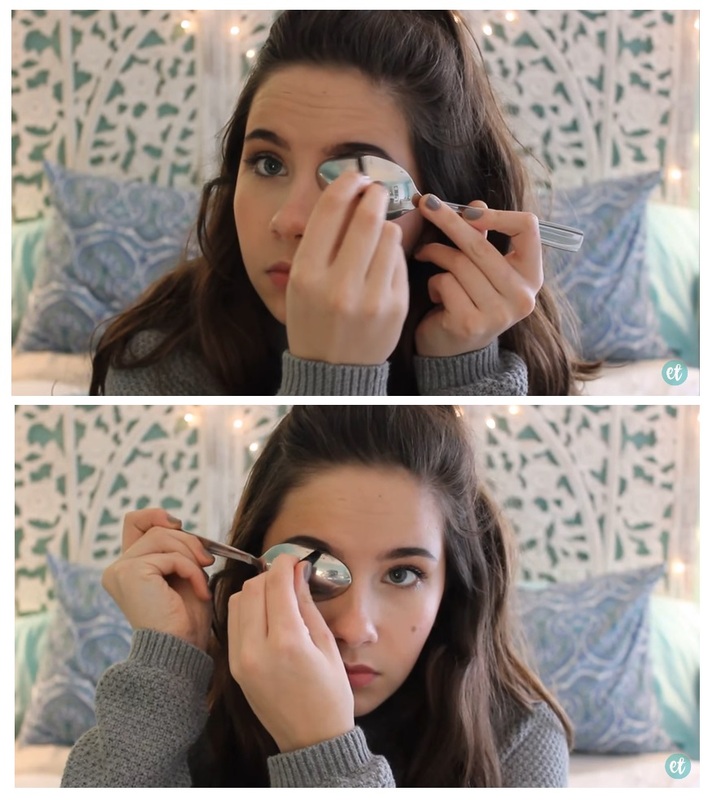 This Youtuber, named Lisa tried the eyeliner hack with the use of the knife. Again, if you are still a kid, never try this without your parent’s permission and supervision. If you think that this is impossible for you to do, just use the spoon hack, not this. Again, another reminder, NEVER use the knife hack if you are not yet sure if you can handle it well or not. 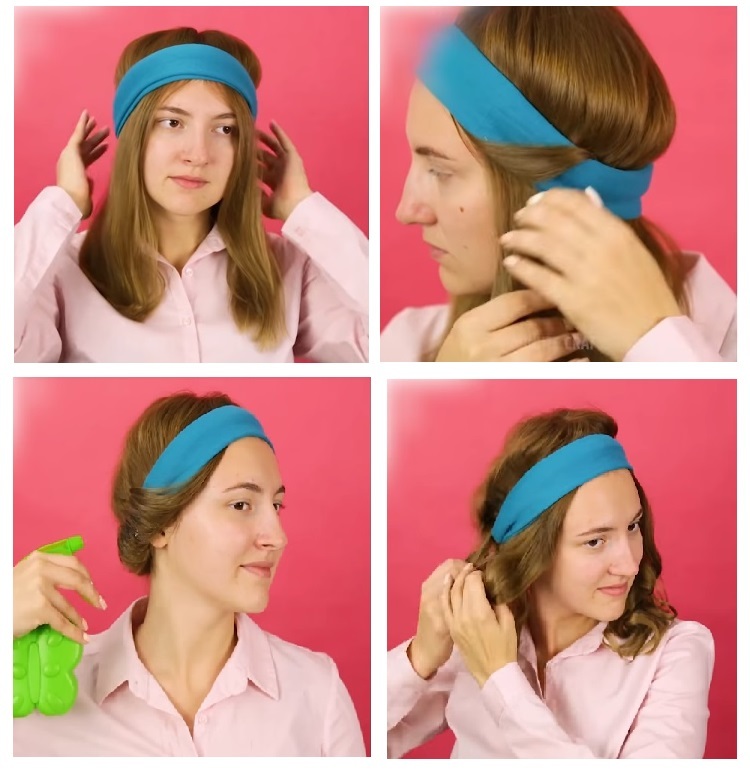 How can you complete your look if you don’t know the hacks that you can use for your hair? Below are the easy hair hacks that you can use whenever you are in rush and you need to look presentable. You don’t need to use any heated tools since it may damage your hair. You just need is a mirror and the materials that can be found on your vanity kit. All you need to have are elastic bands. You can use the colored once but choose the one that is close to your hair color is recommended. All you need to do is to separate your hair into several parts, and when you are done, flip your hair back. Heating your hair can bring more damage. If you are the type of person who is struggling when curling her hair, follow this simple curling hack. These are just some of the beauty hacks that you can follow to save more money rather than buying from the makeup stores. Are you excited to try these beauty hacks at home? If yes, you may comment down below to know what hacks will you going to use. Do you want to keep up new with makeup hacks online? Check this out for latest updates.